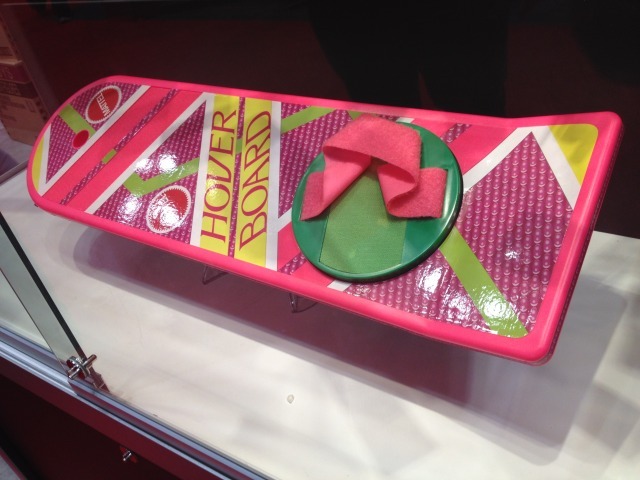 MattyCollector has posted an update on their upcoming Back to the Future II Hoverboard. Hoverboard Customers: Last week at New York Comic Con, we revealed a pre-production model of our upcoming Back to the Future™ Prop Replica. 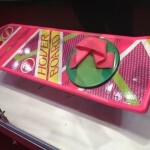 It was developed in conjunction with the original films’ special effects supervisor, Michael Lantieri, prop maker/special effects expert, Mary Anne Lantieri, and the co-producer and co-writer of the trilogy, Bob Gale, and is based on the more than 30 slight variations of Hoverboard props used in the classic film series. If you placed a pre-order, we wanted to let you know that if you’re in any way unhappy with the product we’ve shown so far, you can opt out of the pre-order. We want to ensure every customer is satisfied, so if you prefer not to purchase the Hoverboard prop replica, please visit our Customer Service page and we will gladly cancel any unshipped order. The pic to the left comes from NYCC 2012 via EvilRocketeer of TheRPF.com.